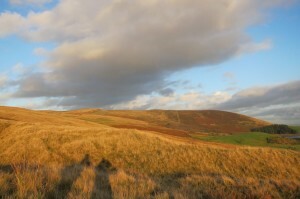 The wind is howling on Pendle Hill on Halloween. It lies in Northern England, and has been described to me as a seductive hill with a macabre, dark past. My friend Rachel and I are climbing the hill – it’s only 4pm, but the sun sets in less than hour. We can see the small villages of Sabden, Colne and Roughlee below us, but we’re far above them now and the hill is deserted except for a pair of silhouettes in the far distance at the hill’s peak. The North of England is untamed. Lancashire is the wild part of the untamed. These are words from Jeanette Winterson’s latest book The Daylight Gate, a novel about the infamous Pendle Witches who inhabited this land 400 years ago. Visitors on the hill have reported feeling invisible hands strangling them or smelling the scent of strong perfume. As another gale rolls across the hill and my shoes slip in the mud, Winterson’s words again echo in my ears. This was Lancashire. This was Pendle. This was Witch Country. Find the full article about our adventure at The Toast. P.S. We survived the ghosts and witches of Lancashire — but just barely! Seriously, Lancaster and Pendle Hill are freaky places.